Mars, your co-ruler, which symbolizes physical and sexual energy, begins the month in the compatible water sign of Cancer. Cancer is your 9th House of overseas travel, publishing and your worldviews. You could be preparing to travel, take a course which promises to enhance a subject you're pursuing or you could be focused on someone who lives a distance from you. Mars activates a strong motivation where all areas of the 9th House are involved. You could be dealing with a legal matter, get called for jury duty or find that aspects of your life philosophy continue to evolve and change much to your surprise. This is a great time to gain recognition where higher learning, foreign countries and people from distant places are involved. Mars will be in Cancer until 8/27. With Jupiter also in Cancer, you can expect serious expansion when it comes to international, legal and philosophical issues. Pay attention on the 8th and the 22nd as these dates bring good news and new possibilities that promise to appeal to you. A New Moon occurs on 8/6 in Leo, your 10th House of career. You could find that you have increased visibility on this day. It's time to emerge from the shadows and give your career the best you have to give, Scorpio. Offers come in regarding a project you have worked on tirelessly. Focus on advertising, social media and public relations on this New Moon. Do whatever it takes to further your professional ambitions. Your peers and employers will extend their gratitude. Mercury (Communications) will travel through Cancer, Leo and Virgo this month. Mercury begins the month in Cancer and enters Leo on 8/8. Mercury will be in Leo and your 10th House for the majority of August, so your communications will tend to be more centered on writing, speaking, siblings and short trips. Mercury will transit Leo from 8/8 - 8/23. On 8/23 - Mercury enters Virgo, the sign that Mercury rules. This transit can up the ante in all of your communications as it promises to enhance your ability to effectively get your point across to others. Mercury will remain in Virgo until 9/9. Venus (Love) begins the month in Virgo. 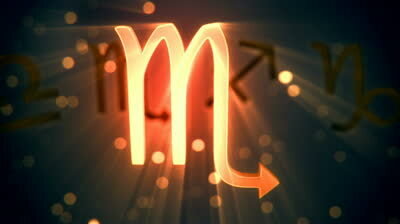 Virgo is your 11th House of socializing and friendships and emphasizes your hopes and wishes. This is the time of year for Scorpio to get out and make time for friends, socializing and attending events. Throw a party, make plans for a weekend getaway and enjoy the social aspects that come with Venus in Virgo. Venus will enter Libra on 8/16 and remains in your 12th House of issues past until 9/11. You can make gains from any work done behind closed doors throughout the transit of Venus in Libra. A romance could have an air of secrecy to it or you might find that you prefer to spend time away with a partner in private. With Venus in Libra, you could find yourself understanding another person's point of view you had previously not been able to comprehend. With Venus in Libra, it's a good time to get in touch with your dreams and hopes. Focus on organization and giving back to those who have aided you during tough times. Charity work could bring you in contact with a new love. Self-realization and introspection benefits you during this time and can bring about a feeling of liberation where past issues are involved. Events from the past can be successfully resolved once and for all with Venus in your 12th House. Expect assistance from females to help you gain greater insights into your own behavior. A Virgo will be especially supportive. A Full Moon occurs on 8/20 in Aquarius. Aquarius is your 4th House of home and family life. There will be lots of movement and activity on the home front on this date. News is received regarding a personal relationship and or a family matter. The signs of Taurus, Libra and another Scorpio will play active roles in your life this month, Scorpio.